For the American reality television series, see Summer House (TV series). For the Gold Motel album, see Summer House (album). A summer house or summerhouse has traditionally referred to a building or shelter used for relaxation in warm weather. This would often take the form of a small, roofed building on the grounds of a larger one, but could also be built in a garden or park, often designed to provide cool shady places of relaxation or retreat from the summer heat. It can also refer to a second residence, usually located in the country, that provides a cool and relaxing home to live during the summer, such as a vacation property. 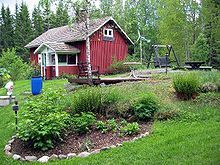 Especially in the Nordic countries, sommerhus (Danish), sommarhus (Swedish), hytte (Norwegian), sumarbústaður or sumarhús (Icelandic) or mummonmökki (Finnish) is applied to summer residences (as a second home), which rather than simple shelters can be larger dwellings such as cottages. 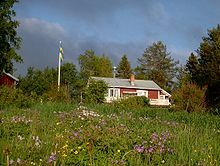 Sommarhus (in Swedish: sommarstuga or lantställe), in Norwegian hytte, is the term used in the Scandinavian countries to describe the popular holiday homes or summer cottages which are often located near the sea but can also be in attractive areas of the countryside. Most of them are timber constructions, often suitable for year-round use. Increasingly they have additions such as saunas, heating ovens, fireplaces or attractive gardens. 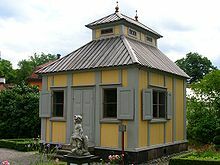 Increasingly, English speakers call them summerhouses. A Swedish "sommarstuga" is traditionally painted with a special red colour called "falu rödfärg and has white trimmed corners, windows and doors." Many of the Danish resorts depend on the rental of summerhouses to accommodate national and foreign tourists who can rent them, usually on a weekly basis, at prices (for a family) well below those of hotels. But Scandinavians often spend a considerable amount of time in their summerhouses which are often the venue for family reunions or simply weekends away from the office. In recent years, the popularity and thus the cost of summerhouses has increased appreciably, particularly in Denmark's coastal resorts. While under Danish law, owners are not normally permitted to use these houses as permanent homes, an exception is made for pensioners. In some attractive areas of Norway there is "residence duty" (Norwegian:boplikt), meaning that an owner of a house must use it as their main home and spend most of their overnight stays there. Other areas of Norway are defined as "summer house areas", where it is forbidden to live permanently. This is because there are quality requirements for permanent homes that do not apply to cottages. Sweden has no ban against using summer houses all of the year, or against using a normal house in summer only. This has made Swedish summer houses popular for Danes, Norwegians and Germans. But in some very attractive coastal areas prices are so high that residents can't afford a house, making some traditional coastal villages very silent in winter. 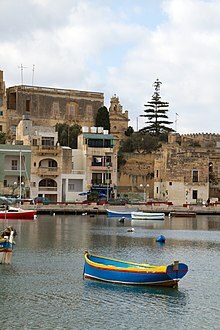 Summer houses in Malta are limestone dwelling used during the summer period, generally for leisure. These houses are traditionally found close to the shore to enjoy the sea breeze. They are either small houses or in more recent time also apartment homes. Summer houses are a secondary residence, similar to a country residence. Most of these houses in Malta were demolished to make way for more permament higher buildings built with concrete. A building at 3, Triq ix-Xatt, Marsaskala, was demolished for similar reasons. Fog House - a pleasure house often lined with moss. 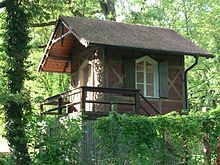 Wikimedia Commons has media related to Summer houses.